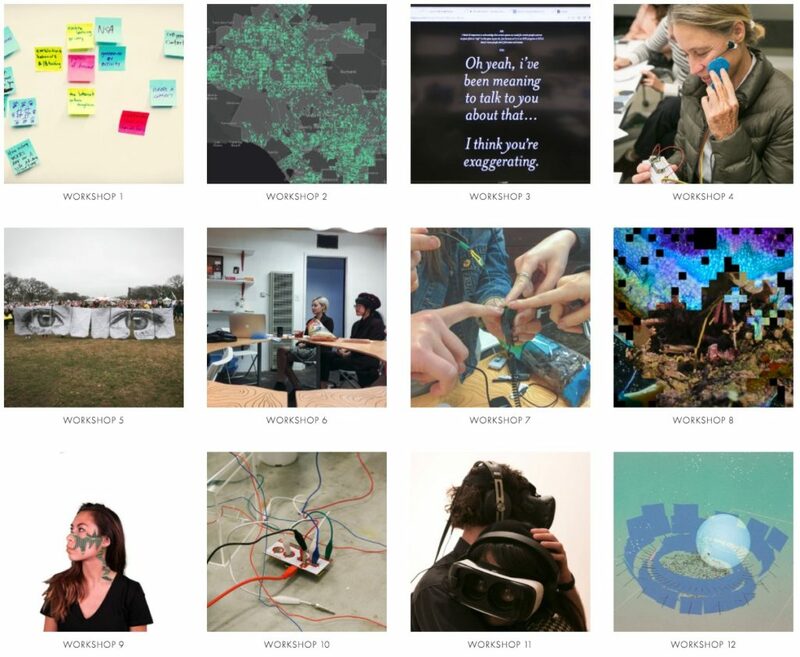 The AI Design and research collective Feminist AI Projects: Bits & Bytes used Wekinator to prototype thinking around machine learning, ultimately using Wekinator in Unity to to support people’s engagement in mini protests. These protests would allow individuals who work or cannot be present due to family obligations to be present in a space for 24 hours. Read more about this excellent project. These smart glasses prevent you from seeing screens! Read more on his website and in Motherboard. There are lots of other good examples on YouTube and Vimeo. Have an idea for another cool project to feature here? Tweet it @rebeccafiebrink.